What happens in Production Week? For our families new to our school, understanding ahead-of-time just what happens in Production Week will make the whole experience much less daunting the first time through it! In the days and weeks leading up to Production Week, you will receive numerous emails with information on casts, rehearsal schedules, hair-makeup-footwear needs, performance handbooks, and other things needed to navigate through our Production Week. However, we do understand that this can all seem rather overwhelming the first time through! 1. Know the name of your child’s dance, and the class they are in. Use the Cast Lists to find your child’s name and class, then you will find the name of their dance. 2. Check the schedules for that dance. 3. Bring your child to FVAD Sunday, Monday, Tuesday and Wednesday. Sunday is Photo Day for Junior School students. Saturday+Sunday is Photo Day for Senior School students. Monday, Tuesday, Wednesday, students rehearse upstairs in Studio B. By rehearsing together Mon-Wed, all students are very comfortable by the time we arrive at the theatre on Thursday. Their costumes and headpieces are always in the same place every day. By Tuesday, they already know where to go and what to do (with help). Pre-schoolers arrive after the other Junior School classes have already changed and gone upstairs to Studio B. This helps to keep a calm envinronment for our youngest students. 4a. 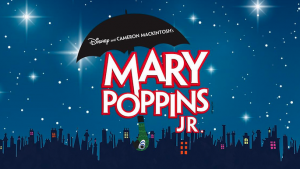 Junior School Show – Bring your child to the Clarke Theatre on Thursday and Saturday. Thursday is the on-stage dress rehearsal for the Junior School Show. Thursday is very important as this is when students learn where the stage is, and become comfortable with the backstage areas. Saturday is the on-stage performance. The Junior School Show is 11am-12:30pm. 4b. Senior School Show – Bring your child to the Clarke Theatre on Friday and Saturday. Friday is the on-stage dress rehearsal for the Senior School Show. Friday is very important as this is when students learn where the stage is, and become comfortable with the backstage areas. Saturday is the on-stage performance for both shows. The Senior School Show is 3:00pm-5:30pm. 5. We organize all costumes, headpieces, changes, and waiting areas for all students. You only need to bring your child with their hair done, and dressed for their class. By dressing for class, you will be sure to have remembered their tights and shoes. Also, we don’t always rehearse with costumes, so they need their dancewear at each rehearsal. 6. We set up our Studio A as a large dressing area, exactly as we will set it up backstage at the Clarke Theatre. Studio A is the girls-only dressing area, as will be their dressing area at the theatre. Boys have dressing rooms upstairs at FVAD, and next to the girls dressing area at the theatre. Moms can always come in with students, and having your help changing them does speed things up. Unless your child really needs you to stay (and they rarely do by Tuesday! ), we ask that you wait in the lobby or go for a coffee due to limited space. 7. We have helpers and teachers assigned to each class. Students are chaperoned at all times – when changing, when needing the bathroom, when waiting, when rehearsing. We have helpers for hair, and emergency hair supplies on-hand. If parents are not able to make a bun, for example, we have helpers for them. 8. The Clarke Theatre is inside Heritage Park Middle School. All staff and theatre crew are used to working with children. All areas are set up for children, first-and-foremost. We are very fortunate to have a school with a 702-seat theatre in such a small town. 9. You will sign in your child at our check-in desk backstage, and bring them to the dressing area. Students are not permitted to leave the backstage area without being signed out by their parent/guardian. All students must pass the check-out desk to be signed-out with their parent/guardian. Only the parent/guardian signing in is allowed to sign out, unless a note is left on the check-in sheet. Areas are assigned (and labelled) for each class in the school gym next to the dressing area. Students are taken to their area with 1-2 helpers, once changed, where they wait on blankets and play quiet games or draw. The gym is closed to other people. We are the only ones with access. After performing, students are taken back to their assigned area in the gym where parents will collect them. Students are not permitted to leave the gym without a helper or their parent/guardian. When you arrive at the theatre on Thursday, we encourage you to view all of these areas to know where your child will be. 11. 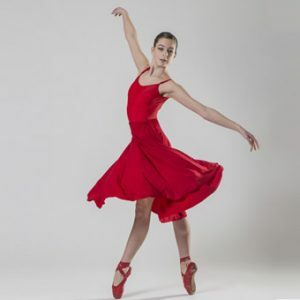 All 17 classes of our Junior School ballet students perform in a large ballet together, not just in their own 2-3 minute dance. This is one reasons why we have all of these extra rehearsals with everyone together. Some older Primary students are also performing in more than once dance. We will help them to change at the right time into and out of costumes. They need to practice this with helpers at the rehearsals. 12. We run on-time almost always, so please follow our schedules. Production Week is an exciting time at the school. We all very much look forward to this week and to the excitement of the performances! While daunting the first time through it, we are sure that you will have a wonderful experience too!